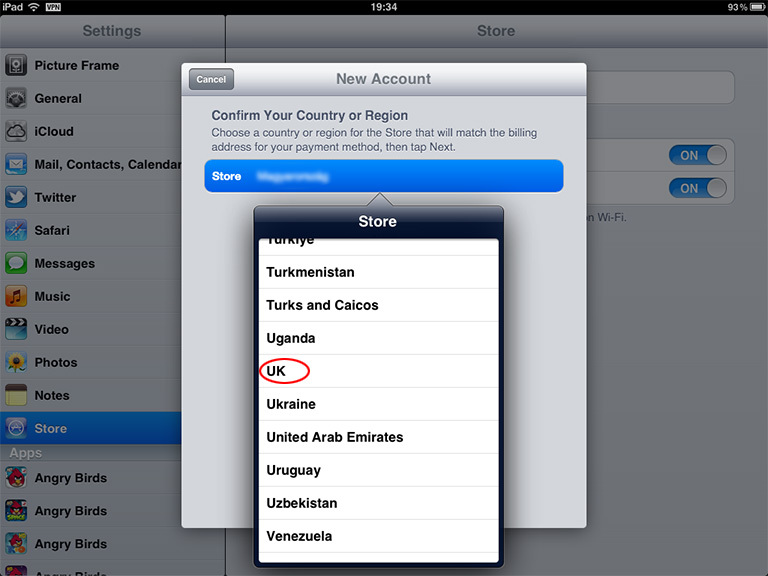 Apple has different stores for different countries and different geographical regions. This allows publishers to restrict the distribution of their apps to their own country for example. 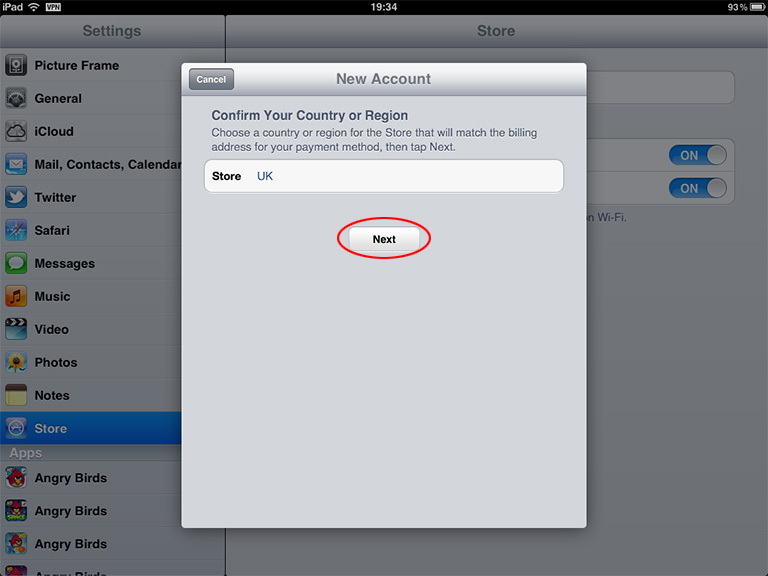 This tutorial shows you how to switch to a UK store. However the same method can be applied to any other country, provided you are able to connect to an IP address from that particular country. Our VPN service provides IP addresses from USA, UK, Germany, Poland, Luxembourg, Ukraine, Hungary, Austria, Switzerland, Spain, Italy, France, Sweden, Netherlands, Isle of Man, Estonia, Russia, Hong Kong, China, Pakistan, Chile, Australia, Canada and many others, so with a simple subscription you can use any of them to switch to their respective Apple stores. 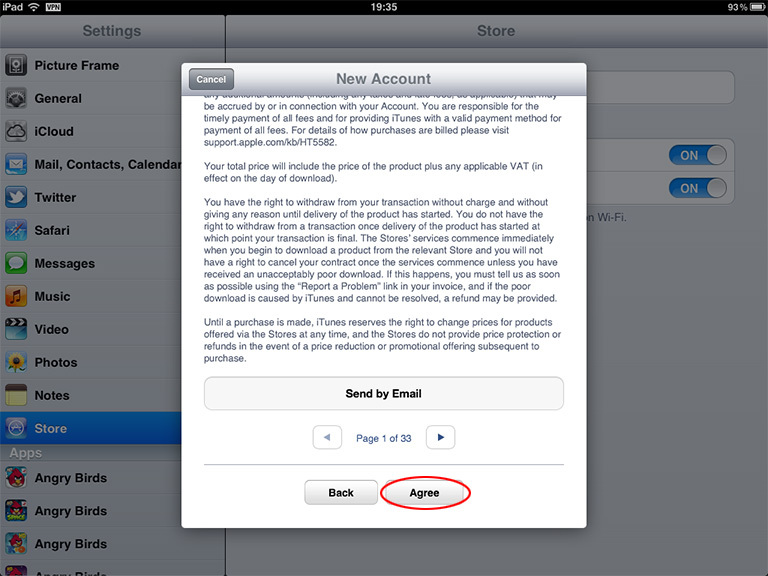 First you have to log into our VPN network and get the IP address of the country whose Apple store you want. Click here if you need help to connect to the VPN network. 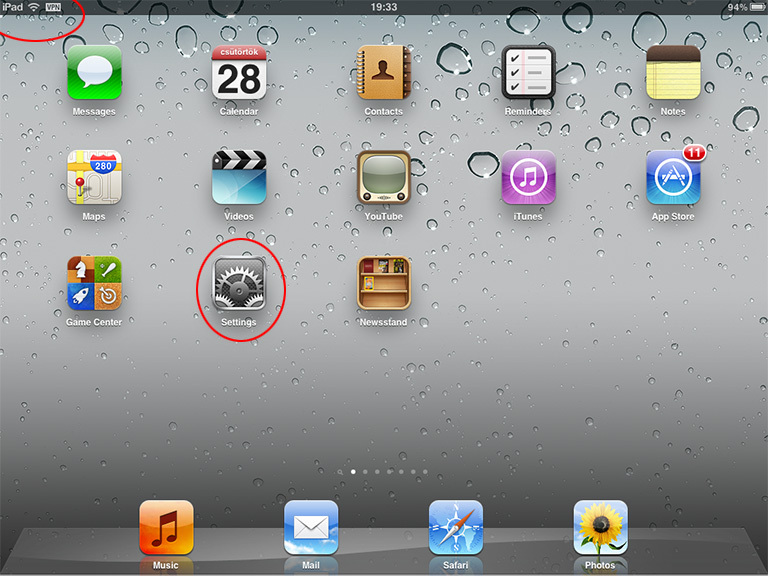 If you are connected, the VPN icon is displayed in the upper left corner. 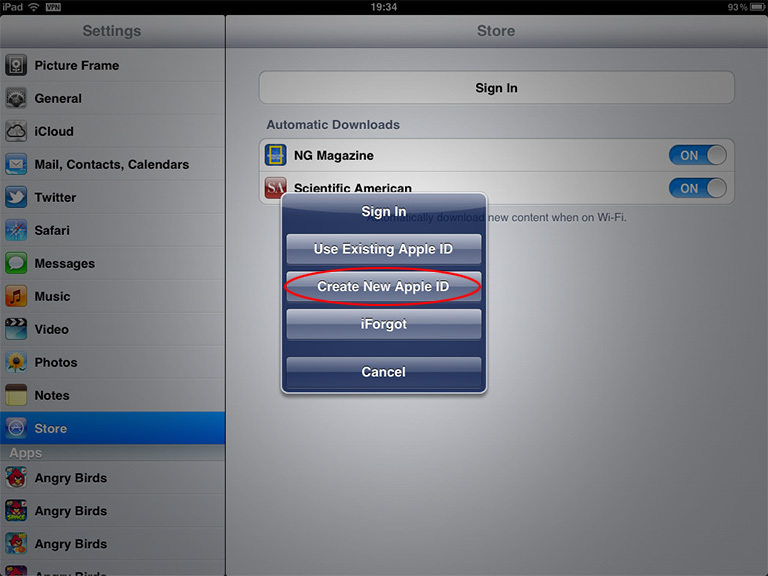 Tap Store and then your Apple ID. Select the new country of your store. 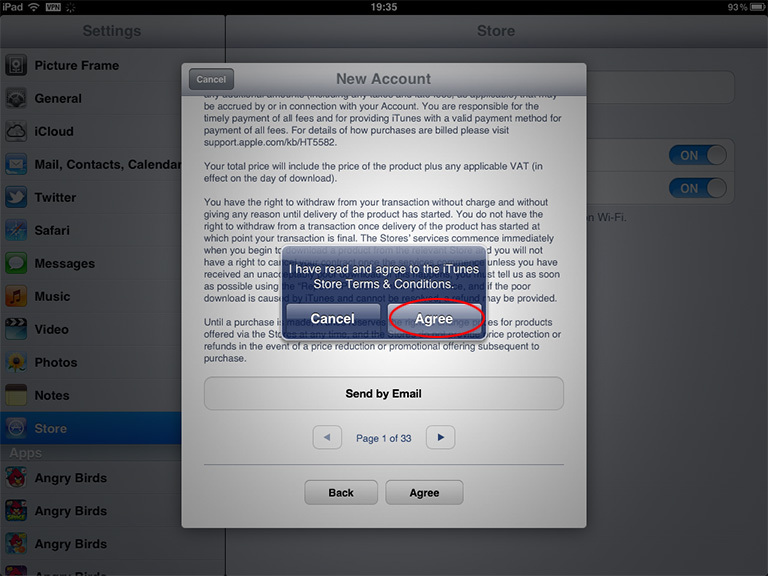 Register for a new Apple ID. You don't have to give any payment information, however the county of your address will default to the country of the VPN IP address that you use. 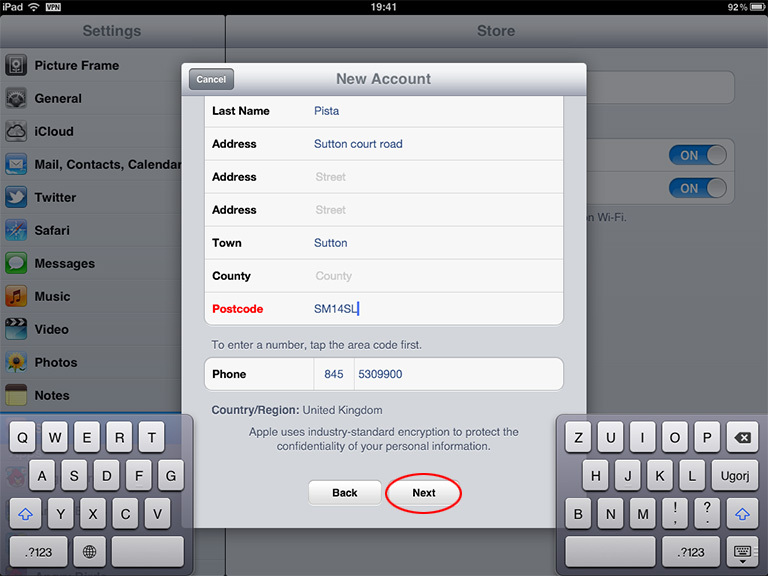 In this example it defaults to UK. You will then have to provide any valid address. The country / town / postal code data are checked against one another, so be sure to supply a valid combination. 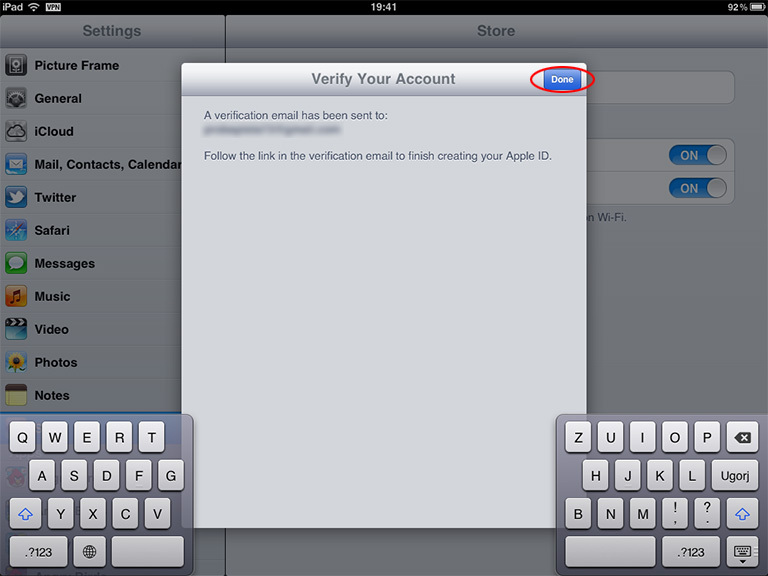 Tap Done and check your email address for the verification email from Apple. When you sign in with the new Apple ID, you will be dropped into the proper country store, regardless of using the VPN connection or not. 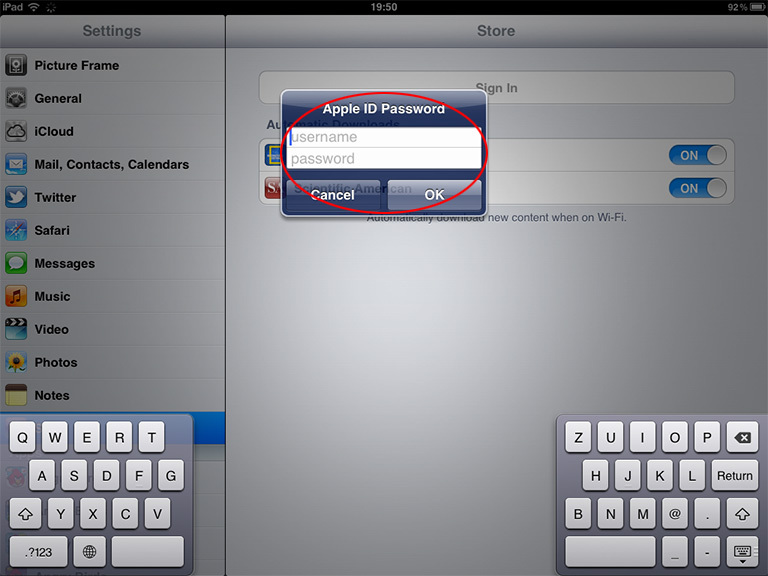 However when using a UK store from a German IP address for example, you may have to reconfirm your Apple ID. This might involve being able to receive an SMS or email message. So to be on the safe side, always use the proper VPN connection when accessing the Apple store. 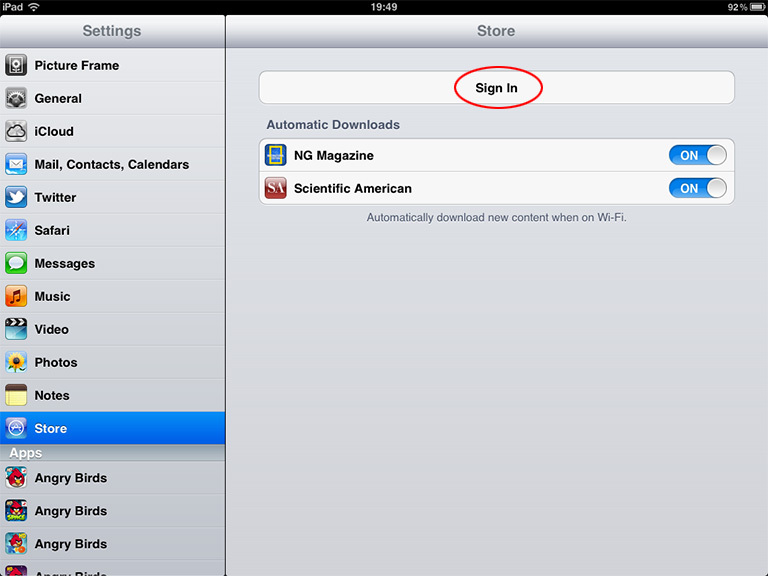 Sign in with the newly created Apple ID. 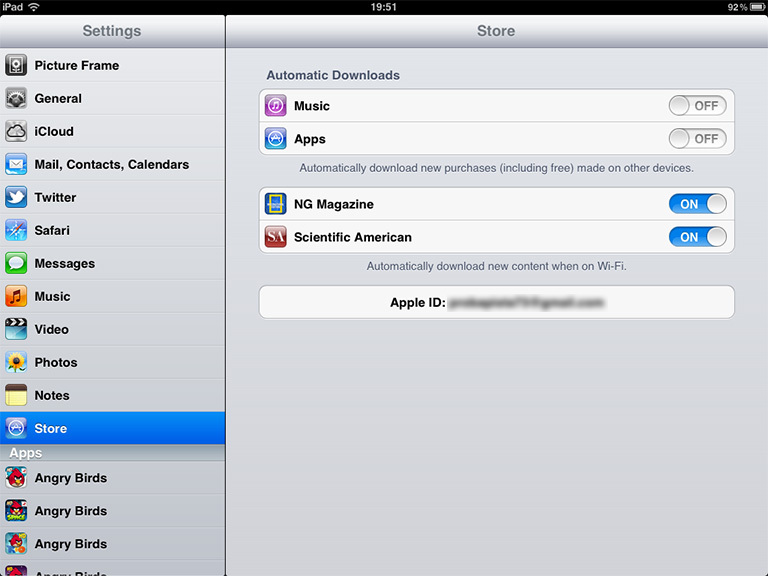 Go to App Store and browse the apps for your selected country. 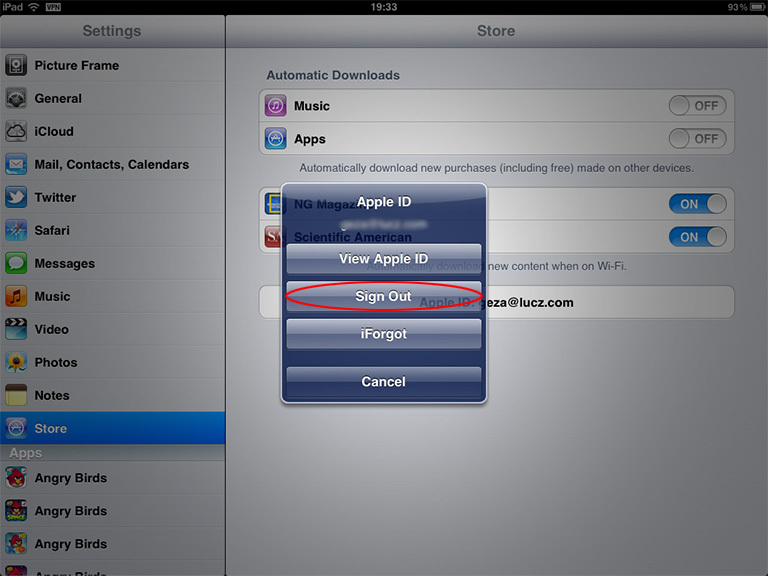 If you want to switch back to your original country, just sign our from the new Apple ID and sign back in with your original one. 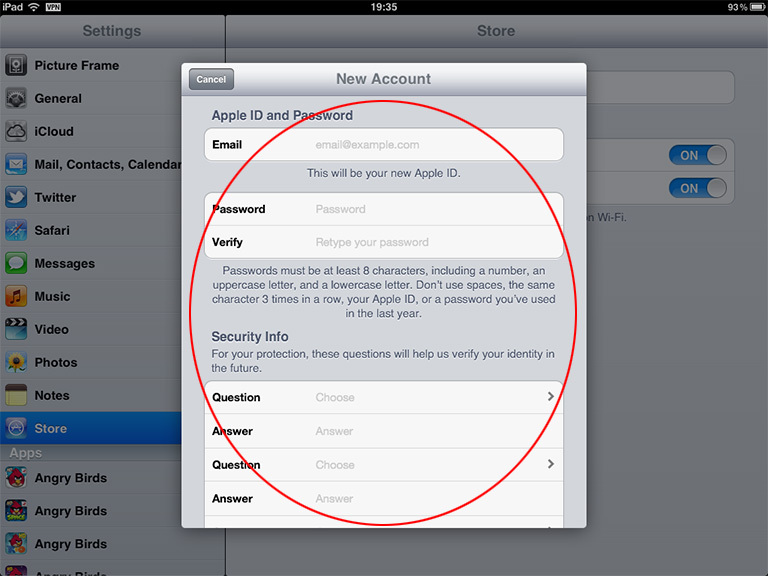 You will be able to use this new Apple ID any time you need to switch countries. If you need to maintain access to several different country stores, you will have to sign for that many new Apple ID's using the matching VPN IP address from our selection.